Chris grew up in the suburbs of Chicago. He started playing the game of golf at the age of 9, quickly picking up the game while playing with his father. While in Chicago he spent a lot of time on the course till college where he went to Iowa State University and obtained a Degree in Community and Regional Planning. This took him away from the game of golf for a period, but when opportunity struck, he made his way back to golf by going to the University of Nevada, Las Vegas. At UNLV Chris earned a degree in Hospitality Management with an emphasis in Professional Golf Management. Chris has now been in the golf industry for the last 7 years, spending most of that time in Las Vegas as an Assistant Golf Professional at TPC Las Vegas. At TPC Las Vegas, he spent 2 years working with the Golf Genius Software as an end user, while running tournaments from 6 to 144 players over multiple rounds. His career in golf also took him to courses like Painted Desert Golf Course in Las Vegas, NV and Timber Creek Golf Course in Roseville, CA. Chris now resides in Sacramento, CA with his wife Elisabeth and son Luca. He enjoys spending as much time as possible in the water, snowboarding or at a ball field if he is not at the course. Chris also keeps his Chicago roots as an avid fan of the Chicago White Sox and Bears. Alex is one of our youngest prodigies, currently studying Computer Science at Babes-Bolyai University in Cluj-Napoca. He developed his passion for Ruby in high school and his enthusiasm has since grown significantly. He is always doing his best trying to use the latest technology in order to build a better web for everyone. Alex competed in numerous Computer Science contests and hackathons, most noteworthy being his participation at the American Computer Science League final two years in a row. In his free time, he enjoys reading poetry and playing video games. Friends call him Rafa. Prior to joining Golf Genius, he was part of the Steelcase support team where he helped customers use the products correctly and efficiently via phone or chat. It was very rewarding when customers found solutions to their issues and can happily utilize the products to achieve their goals. Beyond work, Rafa likes running, playing video games, reading books and having deep philosophical discussions with his friends. He also just started a new course in Karate. Adam has been involved in the game of golf since he was 10 years old. Originally from Buffalo, NY, he decided to get away from the cold and attended Methodist University in Fayetteville, NC, where he received a Business Degree with a concentration in PGA Golf Management in 2012. After graduation, Adam chose to stay in the Carolinas working most recently as the First Assistant at Pinehurst Resort and Country Club. At Pinehurst, he focused his attention on Tournament Operations, administering over 300 tournaments and outings annually, and partnering with the USGA for the 2014 Men's and Women's U.S Opens. He has been with Golf Genius since 2016. During his free time, Adam enjoys working out and cooking above all else. He currently resides in Raleigh, North Carolina. Ion holds a MSc. degree in Software Engineering from VU University Amsterdam. While studying there, he had the chance to get an inside look into a few companies from one of Europe’s most vibrant start-up hubs. He developed software for advertising on Facebook and online copyright protection services. He loves the expressivity and elegance of Ruby on Rails for developing applications that are fast and enjoyable. In his free time he plays in volleyball tournaments and is a hiking enthusiast. Andrei’s educational background is in Electronics and Information Technology at the Technical University of Cluj-Napoca. After having a brief run in the field of Electronics, he switched back to his first passion, programming. When he discovered Ruby on Rails, it was love at first gem as he was quickly impressed by its power and beauty. He previously used Ruby on Rails for building property management software in conjunction with front-end frameworks such as Bootstrap. Besides work, Andrei has a big crush on everything that implies an internal combustion engine, especially motorcycles and he is also a winter sports lover. Andrei is really passionate about iOS development and everything surrounding the Apple Ecosystem and trying out new things in order to make the applications more reliable, user friendly and easy to use. His iOS passion is backed by strong algorithmic skills nurtured through years of competitive programming where he managed to receive a bronze medal at the national level. Andrei likes to occupy free time with film-making, music production and his other passions singing, songwriting and performing in front of an audience. Andrei’s background includes a BSc. degree in Computer Engineering and a MSc. degree in Computer Science and Software Engineering from the Technical University of Cluj-Napoca - North University Center of Baia Mare. Prior to joining the company, Andrei honed his skills developing large web applications in various domains. He likes to spend his free time playing soccer, hitting the gym and watching movies. Mircea is a Ruby on Rails specialist with extensive knowledge in responsive web design, where applications look and behave nicely on a plethora of devices. On the back end, his skills include using specialized index services to quickly query the database. After switching from Python a number of years back, he has found in Ruby on Rails a framework that easily integrates both front and back end technologies, and is now putting this combo to work in the game of golf. He holds a BSc. in Computer Science from Babes-Bolyai University in Cluj-Napoca, Romania. His hobbies include a good read, hitting the gym and researching the latest technologies. Daniel graduated from Babes-Bolyai University in Cluj-Napoca, Romania and holds a degree in Mathematics. He learned about the company during his third year and was accepted in the internship program. He was then promoted on the Android team where he improves and develops new Android apps for our product portfolio. In his free time he likes to play tennis, soccer, watch movies and travel. Tyler started playing golf when his father introduced him to the game at 7 years old. He grew up in Oregon and spent most of his childhood playing in both high school and junior tournaments while also working at his local golf club. He graduated from Utah Valley University and holds an MBA from California University of Management and Sciences. He was elected to PGA Class A Membership in 2011 and completed his Certified PGA designation in Golf Operations in 2014. Tyler has been working in the golf industry for 12 years, including most recently as a golf program faculty member for a small college in Southern California. He has vast experience at large high-end resort and public golf courses mainly on the West Coast. He was 1st Assistant Golf Professional at Pelican Hill Golf Club, Newport Beach, CA; Associate Golf Professional at Escena Golf Club, Palm springs, CA; Assistant Golf Professional at The Westin Mission Hills Resort, Rancho Mirage, CA; Golf Shop Assistant at Pumpkin Ridge Golf Club, Portland, OR. During his free time he enjoys playing golf, watching any University of Oregon event, Portland Trailblazers basketball, and staying active by hiking and working out. Tyler currently resides in the Orange County area of Southern California. Andrew Crichton has spent his entire working life in golf. He was first exposed to the game as a caddy in one of the more unlikely places…St. John’s Newfoundland. Andrew completed formal education in Professional Golf Management in Western Canada. After that part of his life was complete, he returned to Southern Ontario where he spent the next 20 years working with ClubLink Corporation. While with ClubLink, he was Head Professional at Cherry Downs Golf Club, Director of Operations at Emerald Hills Golf Club, and Director of Operations at Wyndance Golf Club. One of his favorite aspects of the Golf Pro profession was watching members really enjoy themselves while participating in the member events at the club. Whether it was the Club Championship, Men’s or Women’s member guest, or simply a couple’s night, he always felt the events were part of the glue that kept the club together and made it a fun place! That is what brought him to Golf Genius. As a customer, he found he could strengthen the experience with the use of their software. Andrew resides in Port Perry, Ontario with his wife Tammy and 3 sons. He an all round sports junkie, but especially enjoys playing golf and watching his son’s play hockey. Chad has been playing golf since he was 13 years old. He grew up in a small town named Mullica Hill in Southern New Jersey. When he realized the golf business was in his future he decided to attend Methodist University in Fayetteville, NC, where he received a Business Administration degree with a concentration in PGA Golf Management. He has been a PGA Member since 2014. After graduation, Chad became an assistant golf professional in eastern North Carolina at The Carolina Club in Grandy, NC. During his tenure at The Carolina Club, Chad spent most of his time on duties involving tournament operations, merchandising, and member management. Shona’s lifelong passion for the game of golf started at an early age. She was nine years old when her grandfather and his golfing buddies first taught her the fundamentals of a good golf swing – and proper etiquette on the course. From those early formative years with her grandfather up to the present time, Shona has maintained a close connection with the game and has many years of golf industry experience, covering a diverse range of responsibilities. Shona earned a Bachelor’s Degree in Management and then an Associate Degree in Golf Complex Operations from the Golf Academy of America. After graduation, she worked as an Assistant Golf Professional at a private country club in Kansas before moving on to the Kansas City Golf Association. Prior to joining Golf Genius, Shona was the Director of Technical Services for the Texas Golf Association. In her spare time, Shona enjoys being outdoors with her adorable Mini-Australian Shepherd named Tabu, on the golf course with family and friends or hanging around the fire pit trading stories about the all putts that should have fallen but didn’t. A native of the Kansas City area, Shona has also lived in in Anchorage, AK, Phoenix, Ariz., and Dallas, TX. Born in Scranton, PA, Ken grew up in the suburb of Clarks Summit and began playing golf at age 12 with his father and neighbor. After high school, he attended Penn State University and majored in Hotel/Restaurant/Institutional Management. After some consideration and discussion with one of the assistant professionals at Penn State, Ken chose a career in the golf industry. He served as the Head Golf Professional at Downingtown Country Club as well as assistant professional positions at Schuylkill Country Club, Berkshire Country Club, French Creek Golf Club and Chester Valley Golf Club. Ken was selected as the 2012 Philadelphia PGA Merchandiser of the Year for Public Facilities and was a nominee for the National Merchandiser of the Year in 2013. He also has 4 Central Counties Chapter (Philly PGA) tournament victories to his credit. Ken greatly enjoys attending Penn State football games at Beaver Stadium and is a fan of all of the Philadelphia sports teams. He also enjoys reading, tennis, doing minor home improvements and, of course, playing golf. He has been married to his wife Jennifer since 2000 and has two daughters, Ashley and Charlotte. Ken resides in Sinking Spring, PA.
Andrei is responsible for growing and improving the Golf Genius Android app. He holds a BSc. degree in Computer Science from Babes-Bolyai University in Cluj-Napoca, Romania. Prior to joining the company, Andrei focused on developing monitoring and communication tools for impact organizations with emphasis on: building and displaying complex nested forms on mobile devices, communicating data in low connectivity areas, and clear and usable user interface design. When not coding, he’s probably watching or doing sports. He’s also a car and dog lover. Andrei holds a BSc. degree in Computer Science from Babes-Bolyai University in Cluj-Napoca, Romania. He is an iOS enthusiast and enjoys developing performant APIs, but his great love resides in coding with Apple's Swift. Always up to date with iOS news and changes, he incorporates the latest OS additions in an application's architecture, flow and design. At a younger age, he flirted with acting, so he can always come up with a different perspective when solving an issue. While not coding, he enjoys playing his guitar, hitting the gym, going to the theatre and reading science-fiction. Joe was first introduced to golf at the age of 11 by his uncle, was immediately hooked and has been a golf enthusiast ever since. Joe has a professional background in sales and service and has worked on business teams and in management for ADP, ADT and Time Warner Cable. He has a bachelor's degree in communications from Old Westbury. Joe resides in upstate New York with his wife and two children. He enjoys playing as much golf with his family and friends as the weather permits. Joe also enjoys outdoor activities, playing cards, coaching and supporting his children's interests and activities. Troy was born and raised in Seattle: GO HAWKS! He is a Certified PGA Professional with more than 20 years of golf industry experience including Overlake G&CC in Medina, TPC Snoqualmie Ridge, and The Peninsula G&CC in Delaware. Troy has conducted more than 500 member, corporate and charity events, pro-ams, leagues, trips and outings, including The Boeing Classic - Champions Tour Event, U.S. Open Regional Qualifiers, the AJGA Peninsula Classic, Delaware State Open and the Merrill Lynch Shootout. Troy loves being outdoors with his wife and children and helping others. Raul holds a Bachelor's degree in Computer Science from Romania's highest ranked IT university, Babes-Bolyai University in Cluj-Napoca. During his studies, he applied his knowledge developing complex web applications in diverse domains. Today he is tackling the intricacies of golf software at Golf Genius. When he has a free moment, Raul enjoys reading, playing table tennis and teaching his cat new tricks. Bill has a BSBA in Business Administration from Appalachian State University where he played on the golf team. He currently resides in Cornelius, NC, and enjoys competing in section tournaments, the NFL (go Steelers! ), wine tasting, and roller coasters. Geoff was born and raised in Palatine, Illinois, a suburb of Chicago. He grew up playing golf, among many other sports, realizing his passion for the game after graduating high school. He then attended Professional Golfers Career College in Hilton Head, SC, where he obtained an Associates in Professional Golf Management. He is currently in Level 2 of the PGA program. Geoff has worked in the private club industry his entire career. Prior to school, at Kemper Lakes Golf Course in Kildeer, IL, and later as an Assistant Professional at The Royal Country Club of Long Grove, in Long Grove, IL. Most recently, he was an Assistant Professional at The Ford Plantation, in Richmond Hill, GA, the host of the 2016 Georgia Open. Geoff has been very involved with tournaments, providing calligraphy and merchandising for the 2011 and 2012 RBC Heritage at Harbour Town Golf Links in Hilton Head Island, SC. When not working, Geoff enjoys a long list of sports and activities, including skateboarding, hiking, and yoga during the summer time, and snowboarding and ice hockey in the winter. He currently resides in Chicago, Illinois. Dan brings more than 20 years experience in large systems programming to Golf Genius Software. He started his career in an aluminum plant as a Systems Engineer and then moved into the telecom business with a job at Romtelecom, the largest telecom service provider in Romania. He then worked for Atlas Telecom, a privately held telecom company, where he led the billing systems development team. He next combined his skills in large billing software systems with web development by joining Lechpol, a company operating in the electronics shopping domain. Dan holds a MSc. degree in Computer Science from "Politehnica" University of Timisoara in Romania. Flavia holds a MSc. degree in Computer Science from École Polytechnique Fédérale de Lausanne, Switzerland and a BSc. degree in Computer Science and Electrical Engineering from Jacobs University in Bremen, Germany. She previously worked for Microsoft and is an Apple and Google scholar. When not writing code, Flavia enjoys blogging and playing tennis. Jim started working for Golf Genius Software in 2018 as a Customer Support Representative. Prior to GGS, Jim began his PGA apprenticeship at Governors Club in Chapel Hill, NC followed by Myers Park CC in Charlotte, NC, Pleasant Valley CC in Little Rock, AR, and The First Tee of Arkansas. Most recently, Jim was an Assistant Golf Professional at Westmoreland CC and Park Ridge CC, both located in suburbs just outside Chicago. He has been a PGA Member since 2005. Jim was born and raised internationally before moving to Akron, Ohio at the age of 13. He attended New Mexico State University for two years and graduated from John Carroll University in Cleveland, Ohio. Jim, his wife, and son reside in Chicago, IL. In his free time, Jim enjoys family activities, playing golf, and woodworking. Bill is responsible for developing the market in Asia, leveraging decades of experience in selling and supporting solutions directly to golf clubs and through partners. Bill has spent his full career in golf and leisure IT solutions. Starting in 1982 with the introduction of the personal computer, he spent 12 years developing the North American golf systems market before refocusing on the global market. Having lived in SE Asia for the past 20 years, Bill has taken golf systems into more than 40 countries around the world. He is also a regular contributor to several international golf publications. Craig is responsible for sales outside of the U.S. He has spent the last ten years in the golf business working on innovative ways to increase participation—making the game faster, more fun and more tech friendly. Prior to that, Craig spent the majority of his career in IT supplies distribution, developing channel sales and marketing strategies for large multinationals in the UK, Europe and the U.S.
Away from work, Craig plays as much golf as he can whilst making sure his wife, twin daughters, three dogs, three horses, two donkeys, twelve sheep, and one cat get the attention they need! Craig doesn't play as much golf as he would like but is the organizer of an annual golf trip, which is where he first discovered Golf Genius. Holland has been involved in the game of golf since he was 9 years old. He grew up in Idaho and spent most of his childhood around the country club atmosphere. He comes from a family of golf enthusiasts, which intensified his love for the game through family connection and bonds. His childhood experience with the game of golf made his career decision easy. He graduated from the University of Idaho with a degree in Marketing and a Professional Golf Management Option. He has been a Class A PGA member since 2009. Holland has been in the golf industry for 15 years, including most recently Head Golf Professional at Sunset Hills Country Club in Thousand Oaks, California. He has a wide array of experience with private clubs, resort golf courses, and public golf courses. He was 1st Assistant Golf Professional at MountainGate Country Club, CA; and an Assistant Golf Professional at The Valley Club, ID; Snake River Sporting Club, WY; Vail Golf Club, CO; Jugg Mountain Golf Club, ID; Bully Pulpit Golf Course, ND; University of Idaho GC, ID; and Plantation Country Club, ID. During his free time he enjoys attending concerts, sporting events, watching a wide variety of sports, playing golf, and has a rather strong obsession with the NFL (Raider Nation). Clint has been involved in the game of golf his entire life. He played 4 years of college golf at Southern Wesleyan University where he earned a B.S. in Business Administration. He went on to earn a Masters Degree in Business Administration from Webster University. He is a Certified PGA Professional in Executive Management, General Management & Golf Operations and has been a PGA Member since 2004. Clint currently resides in Indialantic, FL where he enjoys watching and playing all sports including basketball, tennis, and golf. Scott is the son of PGA Golf Professional, and started playing golf at the age of 3. He grew up mostly in Kentucky, but spent time in the St. Louis area where he played collegiately for Rend Lake College. After attending Rend Lake, he signed a scholarship offer to play for Jacksonville (FL) University, but during the transition decided he wanted to be a PGA Golf Professional. Scott enrolled in the PGA Program, becoming a PGA Member in 2006. During his career he has worked as an Assistant Golf Professional at Flossmoor Country Club, Louisville Country Club, The Plantation at Ponte Vedra, and Long Cove Club. He had a successful track record as a Head Golf Professional at facilities such as TPC Piper Glen and Tampa Palms Golf & Country Club before joining Golf Genius Software in 2015. During his free time Scott enjoys all sports, especially University of Kentucky basketball, music, reading, honing his golf skills, and spending time with his family. Scott resides in the Tampa area with his wife Stefanie and their daughter Charlotte. Chris comes from the world of financial technology for global financial markets with 20+ years of experience. As the head of product development for Financial Software Systems, Chris led the scaling of the company’s global software operation that resulted in the sale of FSS to ION Trading in 2012. He remained on to run the FSS business unit until 2014. Chris is a member of the Philadelphia Cricket Club. His volunteer roles in club governance led him into the club software space where he combines his management experience in commercial software with a life-long love of golf. Lou is the Vice President of Finance & Administration for Golf Genius Software. He is responsible for all financial, human resources, and administration functions of the company. Lou’s 15+ year career in financial leadership positions in the E-Commerce, Digital Marketing, and Web Services space has focused on helping companies grow and improve through financial and operational excellence. Prior to joining Golf Genius Software, he was Vice President, Divisional CFO for 1&1 Internet Inc., the US division of the World’s 2nd largest Web Services company for small businesses. Prior to 1&1, Lou spent many years with GSI Commerce and following the acquisition by eBay Inc, served as CFO for eBay Enterprise’s Interactive Marketing Division. Lou holds a degree in Finance from Penn State University and an MBA from Temple University. Go Nittany Lions and Owls! Lou resides in the Philadelphia area with his wife and two kids where he is actively involved in the local community. He is an avid sports enthusiast and now spends a lot of time coaching his kid’s numerous sports endeavors. Lou enjoys playing Golf but must admit his short game needs some work. Kinga holds a Master of Arts Degree in Design awarded by the University of Art and Design in Cluj-Napoca. She completed her studies with specialization programs in Belgium and Hungary. She studied art from an early age and she participated in various art and design competitions, exhibitions and art camps. She then applied all the acquired skills in the digital world by creating branding and advertising concepts, web and mobile app designs either as a freelancer or part of various design agencies. Her job is also her hobby. She enjoys hiking in the wild. These trips are great sources of inspiration and they can transform into the environment of her land art works. Rory joined Golf Genius Software in 2016 as a PGA Professional with 15 years of industry experience and PGA Certifications in Golf Operations and General Management. As a PGA Professional at Interlachen Country Club and Director of Golf at Bent Creek Golf Club, Rory has conducted thousands of golf events ranging from local club events to state and regional tournaments all the way up to the US Women’s Open Championship. During his career, Rory has been awarded the 2010 MN PGA Assistant Golf Professional of the Year and has held numerous leadership roles within the PGA, including serving on the MN PGA Tournament Committee and as president of the MN PGA Assistant’s Chapter. Rory has also attended USGA Rules of Golf and Tournament Administration workshops throughout the country to help complement his background in tournament operations. As a Minnesota native, Rory grew up playing hockey on the frozen ponds around Minneapolis and graduated from the University of Minnesota with a BIS degree in Marketing/Management in 1995. Away from golf, Rory enjoys traveling, live music, sports, and spending time with his wife, Jody, and their 3 children. Casey was born and raised in Baton Rouge, LA. He began playing golf at age 4, started working in the golf business at the age of 15, and graduated from Mississippi State University with a Business Administration and Professional Golf Management degree. He currently resides in the Dallas-Ft. Worth area with his daughter, Payton. Casey has a long history with the private club industry. He is extremely passionate and dedicated to the entire golf experience from presentation to operations. He has served as the Head Golf Professional at Trophy Club, Hamilton Mill, Shady Valley, and Hackberry Creek. He also served as the General Manager at Shady Valley and Lake Park Golf Club before joining the team at Golf Genius Software. During his spare time, Casey enjoys spending time with his daughter, hiking, playing golf and traveling the country. He’s a rather typical SEC football fan and lives on the Texas Rangers during the baseball season. Brad has been working in the golf business since the age of 15. Born and raised in Buffalo, N.Y., Brad has been progressively moving south since graduating high school. He attended Methodist University in North Carolina where he majored in business with a concentration in Professional Golf Management. While at Methodist, Brad interned at the Country Club of Rochester in Rochester, N.Y., as an Assistant Golf Professional. After graduation, he was elected to PGA Membership. Brad worked at Broken Sound Club in Boca Raton, Fla., as an Assistant Professional for 7 years before joining Golf Genius Software. Brad resides in Boca Raton and in his free time he enjoys playing golf, boating, fishing, disc golf, cooking and riding motorcycles. Dana is studying Computer Science at Babes Bolyai University in Cluj-Napoca. She always tries to do her best, to learn something new every day and to improve herself. She became a Ruby on Rails lover since she joined this company and is very happy to be part of this awesome team. In her free time, she is a football referee, enjoy sreading books, watching football games, running, swimming or cooking. George finished his BSc and MSc degree at the West University of Timisoara. His previous industry experiences include internships at Facebook and Palantir. He competed in programming competitions like Algoritmiada, ACM ICPC and lots of other online competitions. Nowadays he focuses on web development. He is always trying to improve in everything he does. George can play several musical instruments, mainly the violin. In his free time, he likes to play table tennis, work out and watch Twitch. Justin grew up in Tennessee and started playing golf at the age of 3 - he and his family moved to Richmond VA where he continued to play competitively throughout High School and 2yrs as part of the Men's Golf Team for The College of William and Mary. Following his graduation from W&M he decided to follow his passion for golf and enrolled in the PGM program at Arizona St. University in Phoenix, AZ. Justin landed an internship at Pinehurst Resort and Country Club in Pinehurst NC, where he became an Assistant Professional at Pinehurst No. 8, Tournament Manager, and ultimately the Director of Tournament Operations for the Resort. During his tenure at Pinehurst Resort and CC, Justin attained his Class A PGA status in 2009 and in 2010 Justin moved to Downingtown, PA to open Applecross Country Club, a new private Club in the Philadelphia area, as the GM/Dir of Golf where he continued until he joined the Golf Genius Team in 2016. Justin resides with his wife Elizabeth and their kids, William and Vivian, in Glen Allen, VA and enjoys hunting, fishing, playing golf, and spending time with friends and family. Ovidiu has graduated from Babes-Bolyai University in Cluj-Napoca, Romania and holds degrees in Mathematics, Computer Science and Database Systems. Previously, he has worked as a PHP web developer building Facebook apps, where he has discovered a new passion for Ruby on Rails. In his free time he enjoys playing video games, watching movies and participating in the occasional match of soccer and tennis. Mike grew up in upstate New York and when he wasn’t playing hockey, he was at the golf course. His Father would take him to the course for the 7am tee time so Mike could get his round in before coming home to do his house chores. Mike took his love for the game and travelled south to attend Campbell University’s PGA Professional Golf Management program, playing on the golf team as a “walk-on” and graduating with a PGA membership in 2006. Most recently, Mike was the Head Professional at Governors Club in Chapel Hill, NC. His experience using Golf Genius as a customer led him to pursue the opportunity to work for the company. The tournament operation side of the business has always been a passion of his. Currently Mike resides just outside of Raleigh, North Carolina with his wife Rachel and their twin daughters, Cameron and Madison. In his free time, Mike likes to play and watch hockey, and work on home improvement projects. Catalin has a BSC in Computer Science from Jacobs University Bremen, and is pursuing MSC in Applied Computation Intelligence at Babes Bolyai University in Cluj. He has practiced data analysis and web development at Microsoft OneNote, neural networks and program synthesis research at the Romanian Institute of Science and Technology, image segmentation at Frahunhofer MeVis and Accesa. 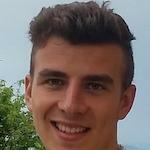 Catalin enjoys algorithmic thinking and problem solving (programming competitions), data analysis, computer vision, artificial intelligence, cognitive sciences, programming psychology, simply programming. Catalin likes exploring many things. Among others he's very interested in the variety and expressivity of program representation & semantics, how to navigate large amounts of source code conceptually and the mechanisms that allow programmers to take an abstract idea and express it into machine language. Ashley is the administrative assistant for Golf Genius, she takes care of the daily accounting tasks and administrative duties. Ashley works closely with all departments to provide support with customer and employee relations. Prior to joining the Golf Genius she worked for an accounting firm in the Philadelphia area. Ashley graduated from Albright College with a BA in English & Communications. She resides with her husband and three children in West Chester, PA.
Bart has been working in the golf business since the age of 14. He grew up an avid player and received his Business Degree in 2007 from Methodist University with a concentration in Professional Golf Management. Shortly thereafter, he was elected into PGA Membership. Before working for Golf Genius Software, he was employed as an Assistant Professional for one year and as a Tournament Administrator with the Metropolitan PGA for 3 years. During his free time, Bart enjoys all outdoor activities, which include, but are not limited to, fishing, hunting, hiking, snowboarding, and (of course) playing golf. Bart resides in Central Pennsylvania with his wife Alana and son Beau. Alyssa’s interest in golf started at a young age when her father would take her along to practice and teach her the challenges and allure of the game. After graduating from Susquehanna University with a BA in Public Relations and a minor in Advertising, Alyssa began her career in software marketing with positions at Philadelphia area tech firms. When the opportunity to work in a high tech golf company came along, Golf Genius Software was the perfect fit. Alyssa was one of the company’s earliest employees, and today she leads the marketing function, which includes marketing communications, web site management, event management and demand programs. Rares is a very enthusiastic Ruby on Rails developer, always seeking to improve himself. He is very dedicated and focused on his tasks, going the extra mile to achieve great results. He holds a BSc. degree in Mathematics and Computer Science from Babes-Bolyay University in Cluj-Napoca. In the past, Rares focused on developing various projects and experimenting with multiple technologies. In his free time he enjoys traveling, reading and playing video games. Steve has been a software marketing executive since the first Taylor Made metal driver was introduced. He began his career at General Electric and has worked for a number of large and small technology companies, including several years as SVP of worldwide marketing at Lotus Development, which became an IBM company in 1995. Steve has degrees from Tufts University, the Fletcher School of Law and Diplomacy and an MBA from the University of Pennsylvania's Wharton School. He is lucky to play golf nearly year round, although he never seems to get any better. Justin was born in Tulsa, OK, but his golf career has taken him to Colorado, Wyoming, Florida, Connecticut, and Rhode Island. After graduating from Oklahoma State University with a B.S. in Marketing he moved to Colorado where he met his wife Amy. After a stint on the east coast he has relocated back to Wyoming with his wife and daughter Jordan, his pride and joy. Justin enjoys anything that gets him outdoors. Whether it’s white water rafting, biking, skiing, golfing, bull riding (just kidding), he is up for almost anything. Justin is excited for his role within Golf Genius. He enjoys helping others and is enthusiastic about growing the game of golf. A passionate Australian PGA Member for 20 years, Peter has seen all facets of the golf industry. From shop management, teaching and playing on professional tours in Australia and Asia, he has seen the industry from many perspectives. Currently spending time working with the corporate golf and events side of the industry, Peter joins Golf Genius as they are a market leader. "The Golf Genius tournament management software is a game changer and a company I'm excited to join with." As a winner of numerous Pro-Am events, Peter still enjoys playing the odd competitive round of golf as well as heading to the Rugby League to support my hometown team the Gold Coast Titans with his wife and son. Patrick has been working with Golf Genius Software since 2012. As a producer and designer based in Los Angeles, his wide-range of skills can be seen throughout Golf Genius Software's websites, videos, print and digital advertisements, logos, animations and more. Pat's talents have truly added a genius touch to the Golf Genius Software brand. Jon is a Customer Support Manager at Golf Genius Software. He got his start in golf around age 12 and, although the golf seasons were short growing up in Northern Maine, he grew to enjoy the game. His first job in golf came at the age of 16, working in the pro shop at his local course, Presque Isle Country Club. Jon continued his golf career at Penn State University as a Professional Golf Management major. After several internships throughout the northeast United States, his first Assistant Golf Professional job was at Hillendale Country Club in Phoenix, MD. In June of 2010, Jon started at Golf Genius Software. Jon has many interests, one of which is obviously golf, but he also enjoys most sports and is currently involved in both soccer and volleyball leagues. His other interests include hunting, fishing, camping, cooking and traveling. Nick is from West Sussex in the UK and trained as a PGA professional with Golf at Goodwood moving from there to Cannes-Mougins Country Club in the South of France. Whilst teaching and managing at clubs Nick also spent time working inside the ropes at live golf events for broadcast teams, helping provide NBC, Golf Channel and Sky Sports viewers an enhanced experience with virtual environments for ball tracking and predictive putting lines. In recent years Nick moved into technology, in particular the growth of SaaS software applications and how businesses can integrate for efficiencies in both operations, service and revenue. Nick is passionate to help golf clubs and event operators better their client experience whilst saving time and adding revenue to the business. On a personal note Nick continues to enjoy the game of golf, still trying to perfect it! Always keen to travel, cook and plan the annual ski trip. Nick is the UK Sales and Support Manager for Golf Genius Software. He has spent the last 2 years in the golf industry traveling across the UK selling technology to some of the most sought after names in the world of golf. Nick is a firm believer in trying to encourage golf clubs to embrace new technology whilst also maintaining the traditional fundamentals of the game to help develop the sport for the future generations. Nick’s love for the game of golf was developed when his Dad took him to watch the 2002 Ryder Cup at The Belfry, (which was won by Europe!). Previous to Golf Genius Software Nick used to work as a full time Professional DJ playing in nightclubs all over the UK and Europe whilst representing brands such as Ministry of Sound. During his 8 year DJ career Nick was lucky enough to have performed alongside names such a Snoop Dogg and Tinie Tempah. His hobbies include playing golf at his local golf club, supporting his childhood football team Millwall, socializing with friends and spending time with his girlfriend. Adrian holds a BSc. degree in Computer Science from Babes-Bolyai University in Cluj-Napoca, Romania. He has been building web applications for friends and family ever since he got his first computer. His skills are based on a thorough understanding of IT technology concepts with a stroke of graphical design. Before joining the team at Golf Genius Software, Adrian worked on systems for secure file transfers on the web and associated Android applications. He also ran his own photo studio creating beautiful photo albums for high school students. Adrian enjoys driving, photography and playing with his husky, Jack. Alex was the first employee of Golf Genius Software. He met Mike in the early stages of the company in January of 2009, and has worked for the company ever since. Alex gained experience at top software companies Microsoft and Google, and is now focusing his skills on the continued growth of Golf Genius Software’s products. He is originally from Romania where he competed in various national and international computer science competitions. Alex is the recipient of the Bronze Medal - Balkan Olympiad in Informatics 2008, is a Google CodeJam semi-finalist and a TopCoder finalist. Oana’s curious nature led her to experiment with different sorts of technologies and programming languages. From a full-stack .NET developer, to Xamarin/native mobile developer and a light connoisseur of Apple’s AR framework, it was Ruby on Rails that she really grew fond of. The keywords that drive her work are: efficient, scalable, well-documented, convenient. In her free time she likes to paint, hike and cook. Ovidiu's passion for Computer Science started through playing video games and researching the development process behind it. Ovidiu grew fond of web design and web development while freelancing on 99designs.com, where he managed to win contests, is a 4 time runner-up and gained skills in Abode Illustrator and Photoshop. He applied his design skills building complete web applications in Ruby on Rails while advancing his studies in Computer Science. In his free time he enjoys playing video games, hiking and researching the latest technologies. Alexandra holds a BSc. degree in Psychology from Babes-Bolyai University in Cluj-Napoca, Romania. She loves studying human behavior and she is curious about what makes people happier. She thinks that a healthy mind is maintained with starvation for knowledge of any kind. Alexandra’s background is in customer support for a large telecom company. She then joined our team and started applying her skills in golf software support. In her free time, she enjoys reading books, taking long walks or singing. Bobby was born and raised in Vacaville, California. Most recently, he was the Head Golf Professional for five years at Park Meadows Country Club in Park City, Utah. He served as the Director of Golf at The Rim Golf Club and the Golf Club at Chaparral Pines in Payson, Arizona. Prior to these positions, Bobby was Head Golf Professional at The Estancia Club in Scottsdale, Assistant Professional at Forest Highlands Golf Club in Flagstaff and The Desert Mountain Club in Scottsdale. He obtained his Class A PGA Membership in October 2001. Bobby and his wife, Saskia, have an eight-year-old daughter, Sophie. During his free time Bobby enjoys spending time with family, going to sporting events and playing golf. In his free time, Dan likes playing DnD with friends, going to the gym and hiking. Bob Wampler grew up in the Philadelphia area and is a graduate of Penn State University. We Are! Bob has been a PGA Member for 11 years, and he most recently served as the PGA Head Golf Professional at Cattail Creek Country Club in Maryland. Bob led a very successful golf operation, managed an award winning Golf Shop, and was a Golf Genius customer before joining the company in 2017. Prior to Cattail Creek, Bob held positions at Waynesborough Country Club (PA), Stock Farm Club (MT), Caves Valley Golf Club (MD), Crooked Stick Golf Club (IN), Applebrook Golf Club (PA) and Penn State Golf Courses (PA). Bob will be residing in Montana with his two children, Audrey (6) and Preston (2). During his free time, Bob enjoys playing the piano, spending time with his kids, and cheering on his Penn State Nittany Lions, Philadelphia Eagles and Cleveland Cavaliers. John was born and raised in Columbus, Ohio. A graduate of The Ohio State University, John is a PGA Professional and worked at Sand Ridge Golf Club, New Albany Country Club and Waynesborough Country Club. His past career experience also includes 3 years at Crooked Stick Golf Club, where he was part of the professional staff team that put on the 2012 BMW Championship. John joined the Golf Genius Software team after his position as Head Golf Professional at Ravinia Green Country Club on the North Shore of Chicago. While at the helm, John and his team became real enthusiasts of Golf Genius, recognizing the product benefits that all clubs could realize using the product. During his free time, John enjoys numerous outdoor activities like hiking, golf and attending sporting events – Go Bucks! Eric Whitten is the Director of IT and Infrastructure for Golf Genius Software. In his 15+ years of working with web technologies, he has helped companies deliver exceptional user experiences and achieve deep insight into their operations through advanced business intelligence tools. Prior to joining Golf Genius Software, Eric helped grow several other startup companies in the webcasting, real-estate, news syndication and social networking markets. In his free time, Eric can generally be found on the golf course or his bicycle. He resides with his wife and three children in the Philadelphia area. Julie joined Golf Genius in 2016 as a marketing assistant, putting her design skills to work primarily in portal branding and development. Julie was first introduced to golf after college when she met and eventually married a PGA Golf professional. A graduate of Xavier University in Cincinnati, Julie is a big fan of Xavier Basketball. When she's not working, she can typically be found in her car, chauffeuring any of her four children to or from activities. If she ever has any free time, Julie enjoys decorating, home improvement and photography. Nick Wolfe joined Golf Genius Software in January 2014 as the Vice President of Sales. He has been a PGA Member since 1995, and is an industry veteran with 24 years in the golf business. Nick began his career at Olympia Fields Country Club and Butler National Golf Club, and then moved on to Head Golf Professional positions at Pebble Creek Country Club (OH), Urbana Country Club (OH), and, before joining Golf Genius Software, Waynesborough Country Club (PA). He has been a two-time finalist for the PGA's prestigious National Private Club Merchandiser of the Year and his programs with junior golf have been recognized as “Top 50” in the United States. Nick is also an expert in tournament and event administration. When not working, Nick enjoys playing golf, watching all kinds of sports, particularly college football, and spending time with his family. Nick holds a degree in Business Management, with an emphasis in organizational leadership from Urbana University (OH). Ben began playing golf at the age of 8 and took his first job in the sport at age 10, caddying at Belmont CC near Toledo, Ohio. Since then, his passion for the game has only grown. Since 2010 he has served as a Golf Professional and Tournament Coordinator at both public and private facilities in Central Ohio. 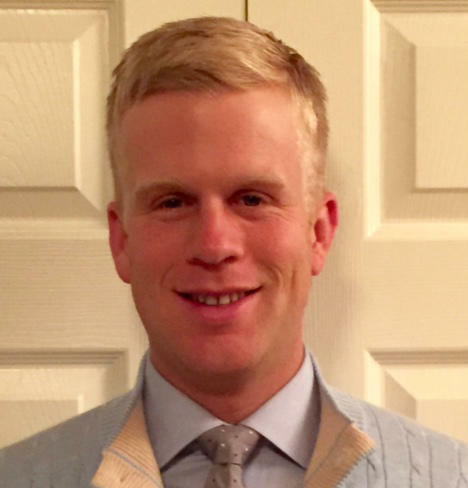 Ben brings with him a wide array of tournament, league and event experience, and is very active within the Southern Ohio PGA Section (SOPGA) where he has serves as Chairman of the SOPGA Apprentice Committee. In 2012, after just 18 months as a Golf Professional, Ben was named the SOPGA Apprentice Assistant of the Year. In addition to his experience in the golf industry, Ben brings the unique perspective of having been a Golf Genius client during his tenure at New Albany CC, making him distinctly aware of the challenges golf professionals are facing on a daily basis. Ben and his beautiful wife Megan are the proud parents of two young boys and a baby girl. Ben and Megan are active in their church where Ben serves as the Chair of the Finance Team and sits on the Church Council. In addition to his passion for the game of golf, he loves spending time with family, travel, history, technology, music and fine dining. Ben is an honors graduate of Kent State University. Mike has a long career in building and managing successful businesses. In 1979, Mike founded Soft-Switch, the leading supplier of software to interconnect electronic mail systems. Soft-Switch was sold to Lotus Development Corporation in the early 1990's, where Mike became CEO. IBM acquired Lotus in 1995, and Mike went on to become a Vice President in the IBM Corporate Strategy Group, and served on the IBM Worldwide Management Council. Mike has a Ph.D. in Decision Sciences from Penn, and was on the faculty at M.I.T. before becoming an entrepreneur. His long-standing interest in scheduling problems is the genesis of Golf Genius Software. Mike is a member of Merion Golf Club, Saucon Valley Country Club and Sea Oaks Country Club. He is passionate about the game of golf and the camaraderie that it fosters.